Over 819,000 Somalis are living outside their county as asylum-seekers and refugees. The majority (767,500) live in neighbouring countries of Ethiopia (256,000), Kenya (255,500) and Yemen (256,000). UNHCR strives to find durable solutions for Somali refugees to enable them to rebuild their lives either in the country of asylum, resettle to a third country or by supporting voluntary return. 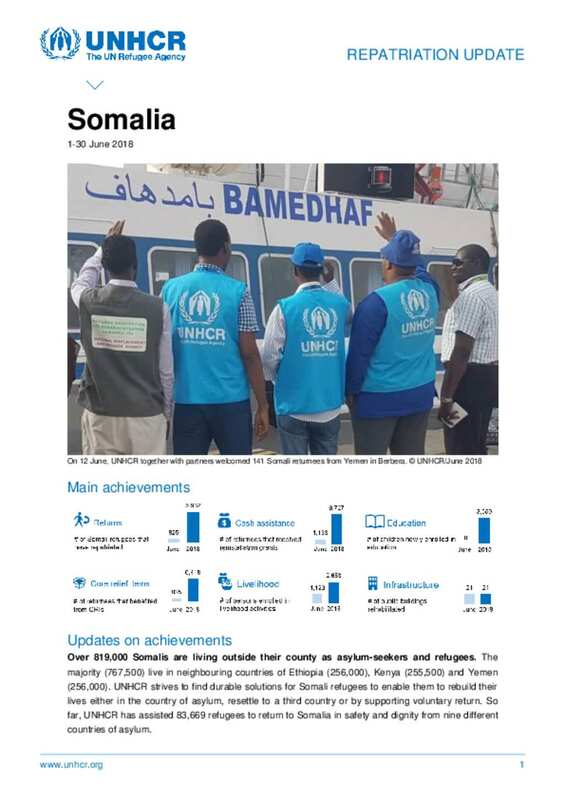 So far, UNHCR has assisted 83,669 refugees to return to Somalia in safety and dignity from nine different countries of asylum.